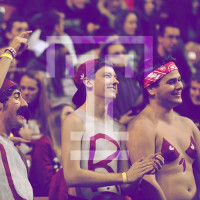 Ian Fletcher hosts the first segment of this semester’s Temple Experience. He speaks with five Media Studies & Production seniors about what they’ve learned and their best experiences at Temple. In the second segment, Pano Tsaklas sits down with a mixed group of MSP students––including sophomores, juniors, seniors, and graduate students––as they discuss living in the dorms, living off-campus, and the best study spots on campus. Lastly, Hayley Damico talks with five MSP seniors about their favorite things to do in the city and how they balance school work and a social life.